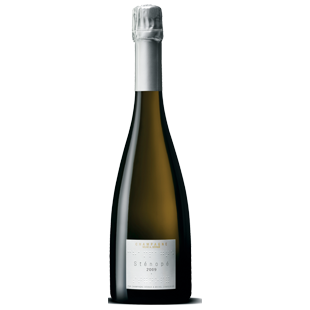 "A very light, fine nose with aromas of toast, vanilla, lemon peel and freshly harvested pear. A sensual taste, both fresh and unctuous, full-bodied, with aromas of praline, vanilla and ripened wheat. An extended and slightly iodized finish, some notes of persimmon, freshly baked brioche and hints of dried fruits. Sténopé 2010 truly results from a challenging year!"